The material in this casebook edition of one of the most widely read novels of our time includes not only the full text of LORD OF THE FLIES, but also statements by William Golding about the novel, reminisces of Golding by his brother, an appreciation of the novel by E.M. Forster, and a number of critical essays from various points of vierw. Included are psychological, religious, and literary approaches by noted scholars and studies of the novel's relation to earlier works, as well as to other writings by Golding. The editors have also included bibliographical material and explanatory notes. Edited by James R. Baker and Arthur P. Ziegler, Jr.
Born in Cornwall, England, in 1911 and educated at Oxford University, William Gerald Golding's first book, Poems, was published in 1935. 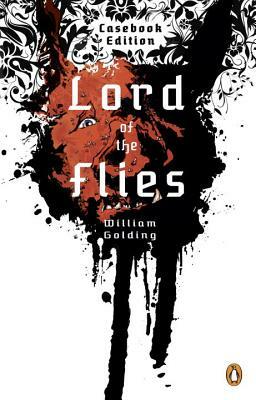 Following a stint in the Royal Navy and other diversions during and after World War II, Golding wrote Lord of the Flies while teaching school. This was the first of several novels including Pincher Martin, Free Fall, and The Inheritors and a play, The Brass Butterfly, which led to his being awarded the Nobel Prize for Literature in 1983. "The most influential novel...since Salinger's Catcher in the Rye." "Sparely and elegantly written...Lord of the Flies is a grim anti-pastoral in which adults are disguised as children who replicate the worst of their elders' heritage of ignorance, violence, and warfare."